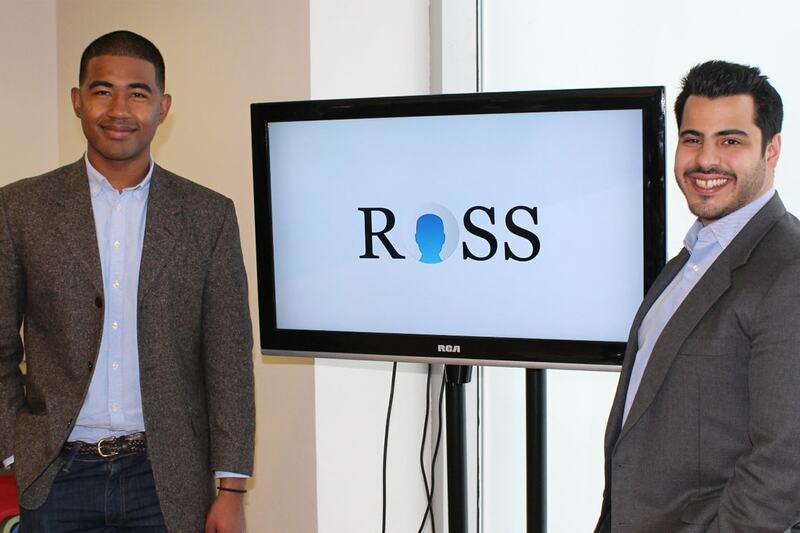 During a recent visit to the University of Toronto, the founders of ROSS Intelligence, who landed on the 2017 Forbes 30 Under 30 List, reminisced about the course work that laid the foundation for their company. The San Francisco-based startup will continue to be a part of that magic. Today, the company announced the opening of ROSS North – their research and development headquarters in Toronto – scheduled for later this spring. ROSS North is part of a growing interest in AI opportunities in Toronto and Canada. A team of globally renowned researchers at U of T is driving the planning of the new Vector Institute, which many hope will help Toronto and Canada become a global leader in AI. It was only two years ago that Ovbiagele, classmate Andrew Arruda, and their co-founder Pargles Dall'Oglio, then an exchange student at U of T headed to New York City. They were competing against nine other North American institutions in the IBM Watson University Challenge, part of a course-based contest that gave students access to IBM’s cloud-based cognitive computing capability. Teams of students at U of T trained IBM Watson’s artificial intelligence (AI) algorithms to read and understand legal text, just like a lawyer would. The resulting top-ranked U of T AI team was named ROSS. The team took second place in the challenge, and within ten months the founders joined Y Combinator, the largest American seed fund, which has supported hundreds of successful startups like Airbnb and Dropbox. Since then, ROSS Intelligence has received international media coverage. The American Bar Association (ABA) named Ovbiagele a “legal rebel,” and they were listed in Forbes' list under law and policy. The attention they’ve received is due in part to the number of partnerships they’ve signed with legal firms, including Dentons, the world’s largest law firm, backed by its Nextlaw Labs, a subsidiary supporting the advancement of legal tech. Most legal research is done by keyword search, requiring lawyers to understand Boolean search limitations to refine their results. But ROSS tries to simplify that process by having questions asked in everyday language. Their engineers are building a trademarked “legal cognition framework” so ROSS can understand more legal text with ease. The company's core technology helps in understanding legal language. They say ROSS also helps in democratizing legal research – reducing fees and releasing time for a lawyer to do what’s most needed on behalf of their client. Recently, the founders returned to U of T to take part in an intern-recruiting fair for students in a master's program in applied computing. Later this spring, nearly 40 students will start an eight-month, industry-based applied research project as the final requirement of the program. Last year, ROSS Intelligence recruited master's student Elías Jónsson, an international student from Iceland, who has since joined the company in San Francisco, working full time.